Did you know Stampin'Up! 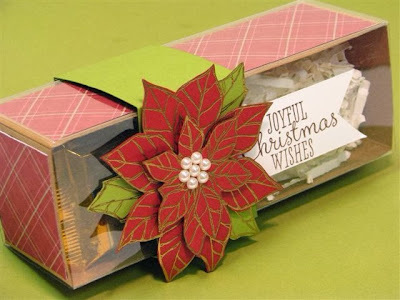 Has everything you need to make beautiful gift wrappings like this box? Dress it up with Season of Style DSP and the Joyful Christmas stamp set and you've created a beautiful box to share your gifts this holiday season. The box is from the Tag a Bag Gift Boxes. Order separate, or with the accessory kit and you'll have everything you need to create this gift box and more! To order any of the items seen here, send me an email, call me at 289-280-0304 or shop my online store.